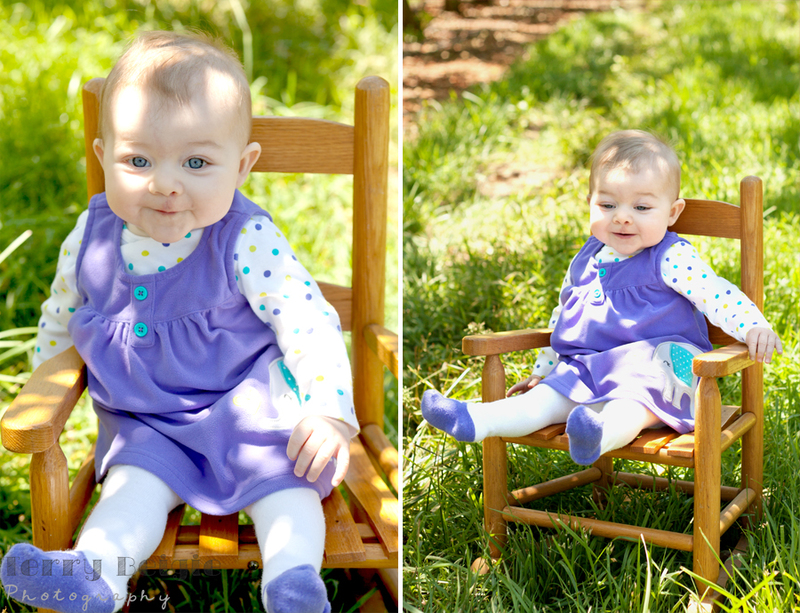 Baby M. is 6 months old! 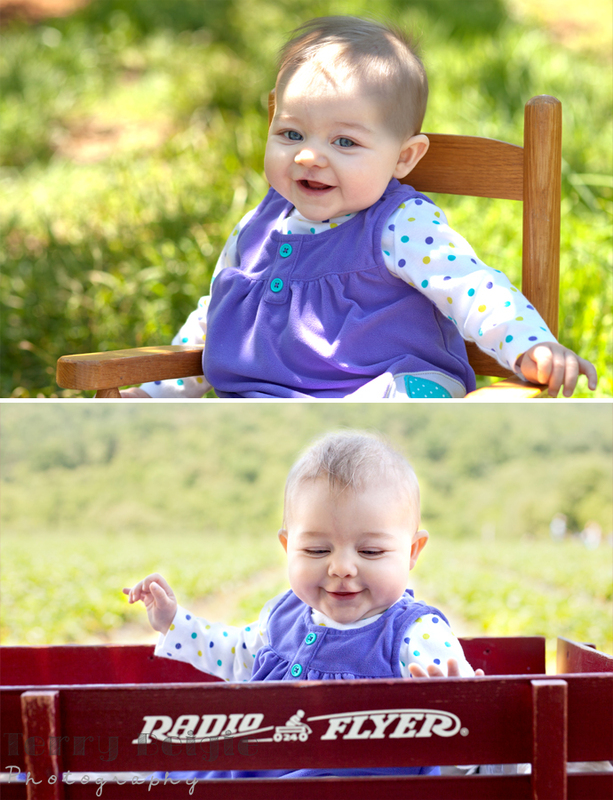 After the crazy winter and spring weather, I was finally able to get out and photograph sweet Baby M.’s 6-month photos! We met up at Chiles Peach Orchard, which was the first time I’ve visited there and it’s GORGEOUS! M. was in a great mood and the weather was just perfect for us. The cutie was even fully smiling by the end, though there were still her usual serious moments. She’s so sweet and beautiful I did contemplate bringing her home with me but her amazing mother and father would definitely miss her so I decided it’s better not to! 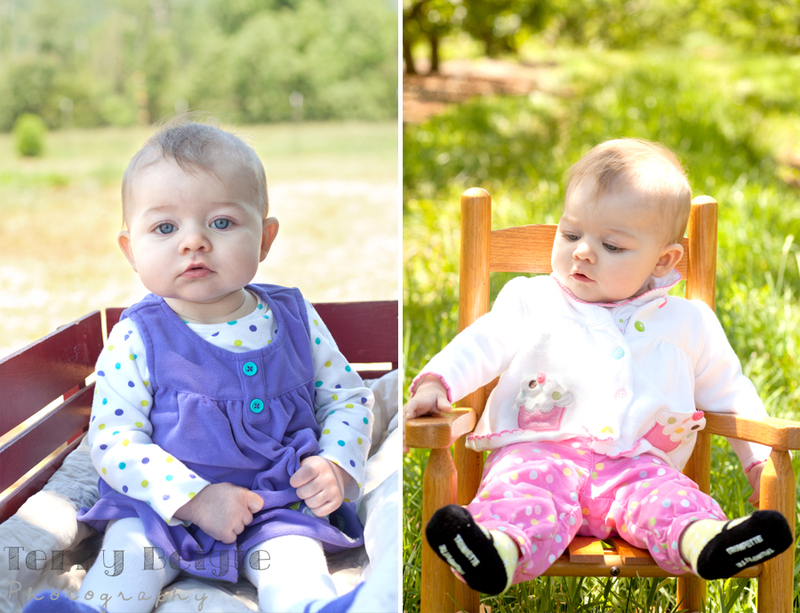 Besides, I’ll get the chance to hang out with her again for her 9-month portraits in juts a few months! 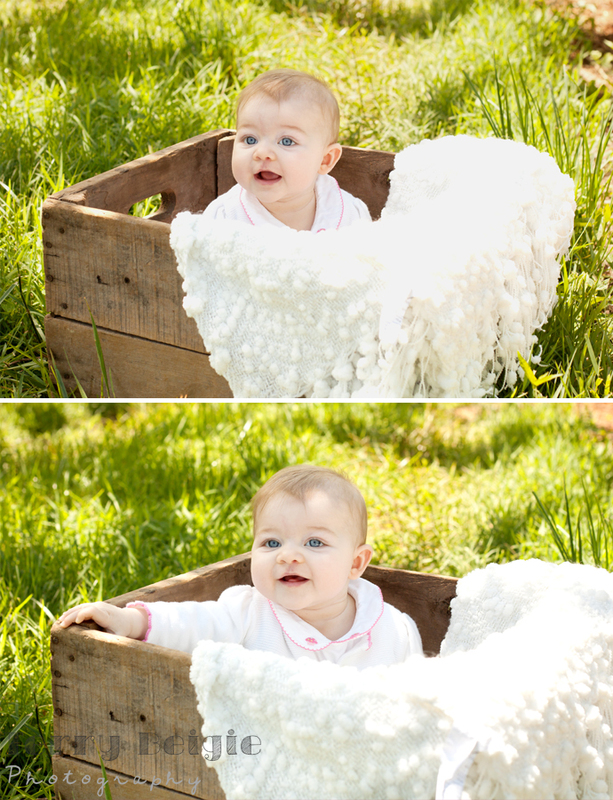 See her 3-month portraits here.